Are you looking for that competitive edge that comes with racing? It takes intense preparation to race 2000 m at the indoor rowing championships. 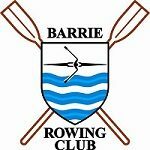 In this class, you will get the training needed to be on your way to the Canadian (end of January) and the Ontario (early March) Championships.